Self-monitored Spray Nozzle is available with us. 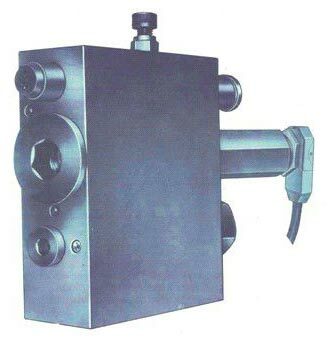 It is monitored by limit or proximity switch. We are counted among the top Manufacturers and Suppliers of Monitored Spray Nozzle. It is operated by progressive dosing of lubricant. Monitored Spray Nozzle cannot operate unless both air and lubricant are available. Moreover, it always operates at right pressure. It finds extensive usage in large open gear drives of cement mill, raw mill, ball mill and kilns.